Over 600 ‘communal incidents’ in UP since LS results, 60% near bypoll seats - Police records show provocation from all sides: aggressive BJP, desperate Samajwadi Party, shrinking BSP. Police records show provocation from all sides: aggressive BJP, desperate Samajwadi Party, shrinking BSP. A third of all “communal” incidents recorded by police in Uttar Pradesh in the 10 weeks following the Lok Sabha election results have occurred in — or on the fringes of — 12 assembly constituencies that are scheduled to go to polls over the next few months. If a larger circle is imagined — covering broadly the region around these constituencies — this proportion rises to two-thirds, police records scrutinised by The Indian Express show. The records show a running strand of attempts made by an aggressive BJP, a desperate SP, and a flagging BSP to turn every clash involving individuals from the two largest religious communities into a communal issue. There is also clear evidence of provocation in areas where Dalits and Muslims live together, leading to communal polarisation. Between May 16 — when UP delivered a spectacular tally to the BJP in the Lok Sabha — and July 25, 605 low-key clashes took place which police identified as “communal” in nature. Nearly 200 of these occurred in or around the 12 constituencies, and another 200 in the broader region. MLAs at these 12 assembly seats contested the Lok Sabha elections and have become MPs. Polls to the vacant seats are due within six months. 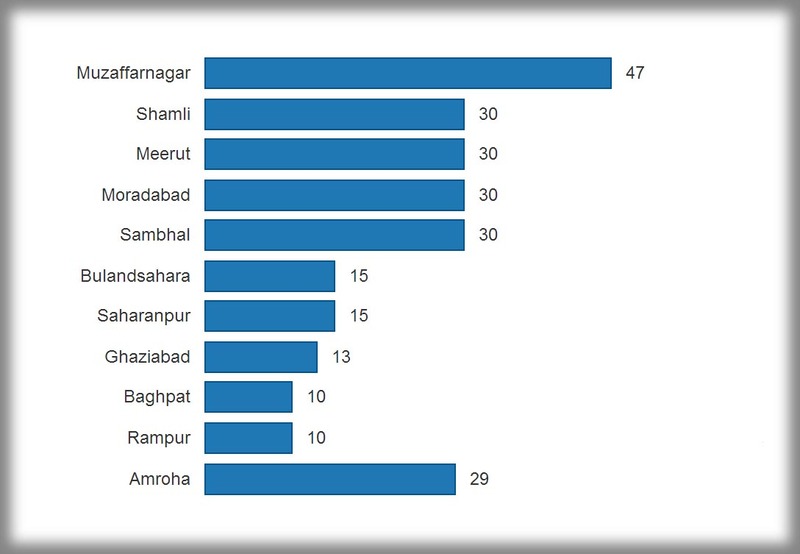 Five of these seats — Saharanpur Nagar, Bijnor, Kairana, Thakurwada and Gautam Buddh Nagar — are in Western UP, where the largest number of 259 communal incidents were recorded. Fifty-three incidents took place in Awadh, where the Lucknow East assembly seat will go to polls. In the Terai, Eastern UP and Bundelkhand regions, each of which is home to two of the 12 seats, 29, 16, and 6 incidents respectively were recorded. Records of more than 400 communal incidents in and around the constituencies show that tensions arose out of broadly six issues. The most common were construction activities involving masjids, madrasas and kabristans (graveyards); and the use of loudspeakers for prayers (120 instances each). Issues of land led to communal tensions in about 70 cases; alleged incidents of cow slaughter in 61 cases; and alleged incidents of elopement and eve-teasing or harassment involving men and women of different communities in 50-odd cases. Minor accidents triggered communal incidents in some 30 cases. 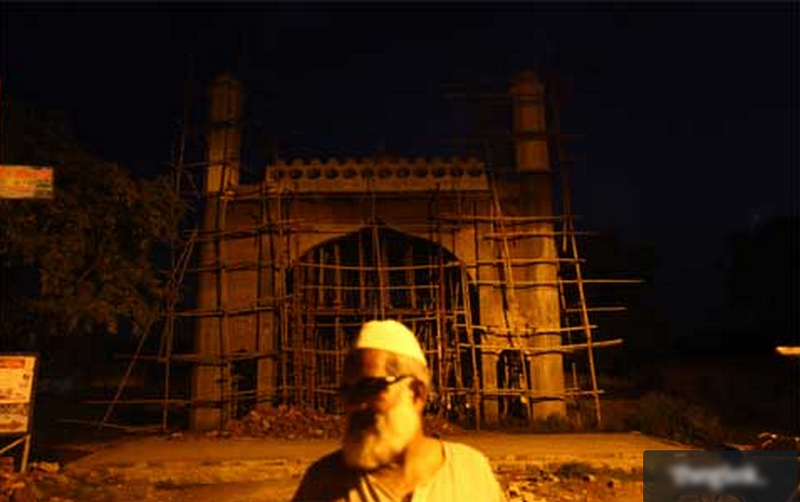 In mid-July, in Bijnor’s Keeratpur area, a delegation met the district administration to demand that the construction of a gate on the Bijnor-Haridwar highway be stopped because the top of the gate was beginning to resemble an Islamic “minar”. The administration has now stopped work on the gate, but at a local mandir barely 10 metres away, a practice has begun of weekly recitals of Hanuman Chalisa, at which the gathering is told of the construction. On June 20, in Rampur village of Bijnor’s Nagina region, Muslims objected to a DJ playing music in the community hall of the village. The music was turned off, but the following day, a clash broke out between Hindus and Muslims. Police and local people are still not sure how the trouble began. Five days later, in Noorpur Chiperi village 50 km away in the Sherkot area of the same district, residents objected to music beign played at a birthday party for the nephew of pradhan Mahavir Singh. Here too, the music was turned off, but some local dailies reported that Hindus and Muslims had clashed. The following day, the police arrested a Muslim man for allegedly intruding into a temple and damaging the mandir’s property. Not far away, in the Gulabbadi area of Moradabad town, where Dalits and Muslims live in almost equal numbers, police have begun to receive anonymous calls about the construction of a minar in a masjid. The masjid in question is deep inside a narrow street, lined by buildings standing cheek-by-jowl, and crisscrossed overhead by a thick jumble of hanging power cables. On July 1, four loudspeakers on the second-floor roof of the mosque were raised to a height of three feet for Ramzan. The calls to the local police and district administration have, however, been complaining of “attempts to raise a new minar, leading to the setting of a precedent”. Only a fortnight earlier, police and protesters had clashed in Kant, 35 km from the town, after the administration brought down a newly set up loudspeaker in a Dalit temple.